I get out of work a couple hours early on Friday thanks to Good Friday. Since I have a few extra hours in my day, I've decided to put it to good use! 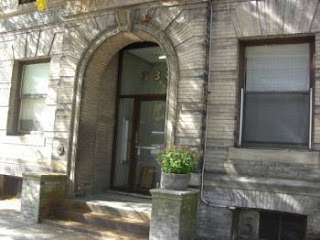 Matt and I are going to check out my fourth apartment option! I'm more excited about this one than any of the others. Its a one bedroom with an eat-in kitchen. It looks spacious and most importantly very bright. It has its downfalls just as all those others had but I could actually see myself living here. I don't want to get my hopes up too high because who knows, maybe it will be rented by the time Friday rolls around! But I sure am enjoying the way its looking on Craigslist! 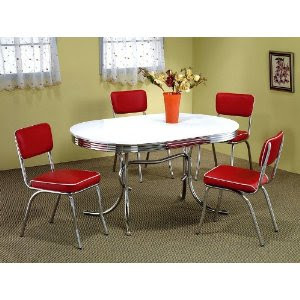 I can just imagine myself hosting a dinner party for my friends and family around this table wearing one of my retro aprons and a high waisted cocktail dress and pearls. "Well Hello Mrs. Cleaver!" Enough imagining for now... I'm just getting my hopes up. I cant wait to visit it and tell you how it all shapes up on Friday! Some people have a cozy window bench for reading. Some people have a luxurious bathtub for some liquid stress relief. I have my bedroom. It is the place I go to get away from anything and everything else in the apartment. I don't have to think about anything that's going on at work. Or if there is terrible weather outside. I am surrounded by pictures of friends and family that love me and of course, Matt and I. My boudoir gives me the warm and fuzzies. In an ideal world I would either have a bedroom twice the size of this one or I would have an entire house that would lend me the luxury of being able to spread my belongings out. But living in a shared space situation doesn't always allow you to dispurse your personal belongings around your house the way you want. I am a creature of habit and sentimentality. If you notice the statue of the small Milk Maid in blue in front of my window, she was from my late grandmothers house. She sits on top of a bookshelf that my dad and I made when I was a kid (DIY at a young age!!) and also which houses with more photos of my family. Almost all the photos around my room have significance. All but one of the black and white images were images my father took or are family photos all of which I hold near and dear to my heart. My brother and sister in laws wedding featured a photo booth of which I took home several strips that I mounted on a glass-on-glass floating frame with a heavy black frame. Those are a dozen dried roses that Matt got me for my birthday this year. My dad bought my brother and I matching antique naval compasses that he engraved for us. This nightstand was also a project I tackled twice over. But that's another blog entry for another day! And this is the best part of my day. I get to retire to my regal brushed nickel bed that I purchased off of Craigslist on the cheap. 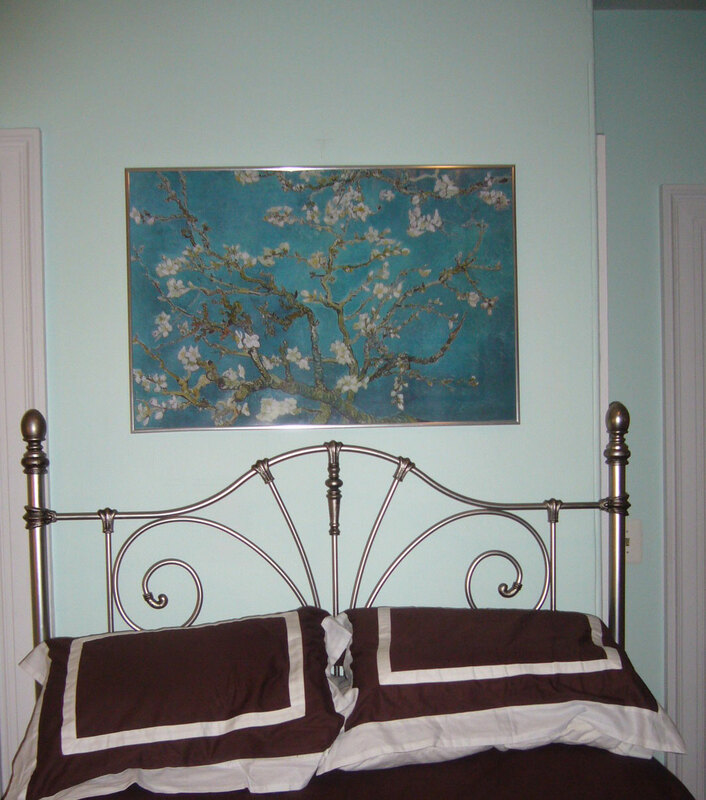 I had been swooning over this Van Gogh Almond Blossom poster for quite some time and finally found the right spot to put it. 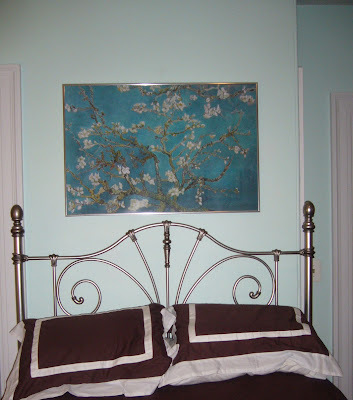 It reflects the blue and green hues in the walls and the organic nature of the bed frame and the white flowers are picked up by all the white furniture in the room. I love my room. My sanctuary. My chambers. What about you guys? Any special place you go that makes you happy? It could be in your home, back yard or even a special restuarant or park bench! Let me know, I want to hear all about it! Well there you have it! I hope you enjoyed your mini tour of my minty heaven. Stay tuned for more decor musings! On Friday, Matt and I both ducked out of work early and hit the open road to head to New York City for little mini-vacation and to go see my family and my brothers art show. Being outside of my normal comfort zone, my observant eye was on high alert. Luckily, Matt appreciates furnishings as well and doesn't mind hearing my stream-of-consciousness-chatter about it all. Now, you've all seen some of the wonderful inspirational things from my moms home-sweet-home. I snapped some pictures for you all to enjoy of my dads' Manhattan abode. He sure can find some interesting-albeit strange knick-knacks. He has a moderately open concept apartment that overlooks the East River. This doesn't do the view justice and these windows are the best piece of art rent could pay for! So much so, that he takes a photograph of the RFK (Triboro) Bridge every single day and keeps his camera on the tripod on the table. What a centerpiece! But I love that he strayed from the norm and put his dining table against the windows. As I told you, my dad has acquired some very strange "found-objects" over the years. He loves all things bizarre. He has the scariest antique hockey mask I've ever seen hanging next to the Olive Oil tin Lamp that my brother gave him a while back. An artists sketching hand is manipulated into various gestures nearly daily. And he found that accent table on the street ripe for the pickings and merely changed the pulls. My cousin used to run a bowling alley outside of Boston and she knew his proclivity for such tchochke's and gave him his very own bowling pin. I love that he also chose to leave the vintage mirror on the floor. No need for it to be hung on the wall. It adds depth underneath the old drafting table he uses as an end table. And talk about mixing and matching new with old. This lamp makes me swoon and he purchased it a couple years ago from my favorite ... Target! Who would have thunk?! Notice that he has hung a plethora of his own black and white photographs in large clumps, as well as some of his friends art work. He has mixed black, silver and white frames but doesn't stray from that and keeps them uniform within their groupings. One wonderful inspiration that my dad showed me was in a little cafe near his building. 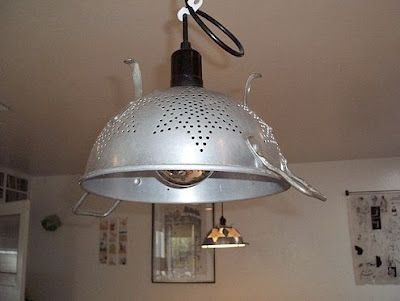 Cleverly, they had used tin colanders as a pendant light shade similar to the one you can see some folks used on Apartment Therapy. I feel that the iteration in this terrible picture I took, is the more practical use, though both are equally chic. I like the diffusion of light this one gets as opposed to the one from Apartment Therapy. When I'm sitting below a light I don't particularly want to look up and be looking directly into the bulb. What do you think? Do you prefer the lamp to expose the bulb (though, they have used a mirrored bulb to diffuse somewhat) or do you want the bulb hidden by the bottom of the colander? I think this may be a project for myself when I get my place! As always I'll take you through everything step by step. I hope you've all been inspired by my Dad's home, I know I have! 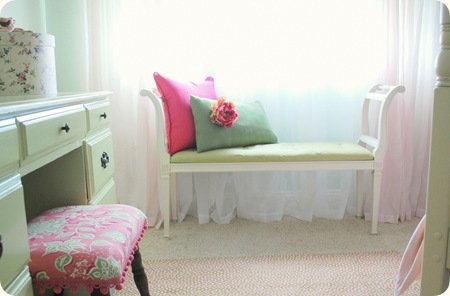 Chairs and fabrics and pillows, OH MY! Thanks for the greats response about the chair ladies and gent's! Reader (and the greatest older brother a girl could ask for) Joe has asked me a couple of questions and I am here to give him the answers! His first inquiry was: I would have loved to see the choices of fabric you weighed at the fabric store. How come you went with this one in particular? 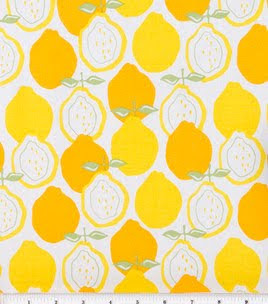 This is a new fabric that my local store has online now. Had I found this in the store that infamous day, I may have chosen this instead. I love the mirrored effect and the fluidity of it. Luck of the draw, I suppose! 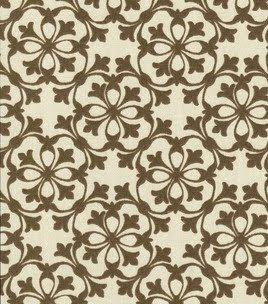 Then I came across the same print that I had chosen for the ottoman slipcover I made. In the chocolate and ivory. As I said before I wished that the white was a little more crisp but I decided to give it a shot because I loved my slip cover and I think it would be interesting to keep it cohesive. 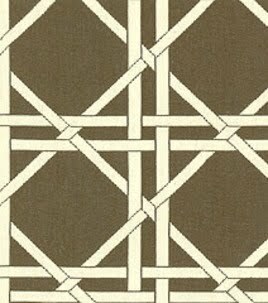 It was still geometric with an organic feel and was feminine but not overtly. 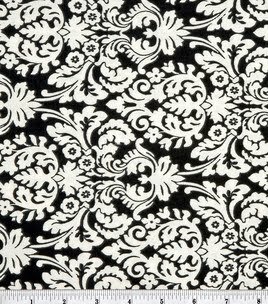 And since I was unhappy with the Damask selection and anxious to start my project, I snatched it up and bought myself a yard! The rest is history. Check out what I did with this fabric in my latest project here and here. 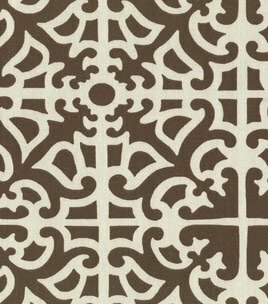 You can find these and many more fantastic home decor fabric options at JoAnn's fabrics. 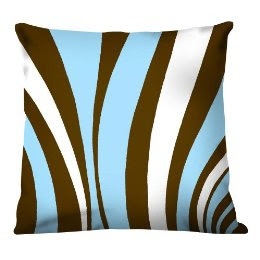 On to Joe's second inqury: We're looking for cheap, fashionable throw pillows. Any suggestions? Well I would never recommend getting "cheap" anything. Inexpensive? Heck YES! Well, right off the bat, there are those major heavy hitters for off-price retailers like Marshall's, TJMaxx, Home Goods and The Christmas Tree Shops. 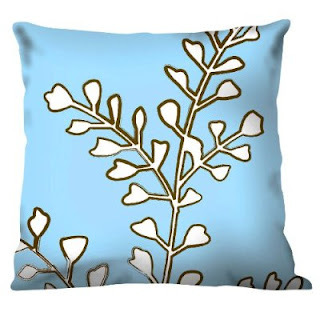 Those can be hit or miss and every store can have a different selection, so if you're ready for a treasure hunt, make a day of going around to all of these stores and you can find some fantastic deals on some really interesting, high quality throw pillows. If you're not looking to sweat it out and perhaps would rather shop online in your PJ's with your cat from the comfort of your own home, then, there are always those big guns like Target and Bed Bath and Beyond. This thow is on sale for only $12.74 at Target right now! 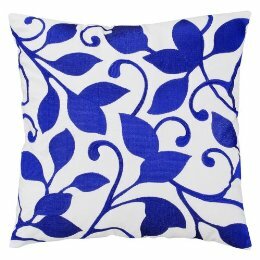 The best thing about this is the bold colors can really brighten up a room and since its a simple 2 color print you can pair it with another color pillow without making things look too busy. Perhaps we could pair it with this? 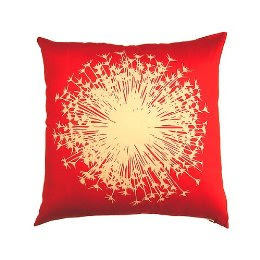 Its a super modern Dandelion pillow also from Target! Nothing wrong with killing 2 birds with 1 stone, right? In the opposite decorative direction, this fantastic houndstooth pillow cover is a little throwback to my friend Ms. Coco Chanel. 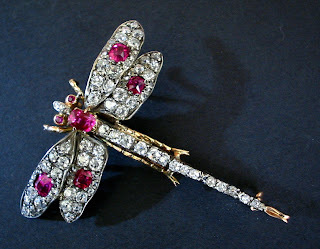 I found this on the fantastic website that many of you are privvy to called Esty. And this was from the Dreamwishes store. This could make for an adorable addition to a preppy kids room or a sleek all white bedroom with stark black and white framed pictures on the wall. And of course my favorite option is making a slip cover for a pillow you already have! Recycle... reduce... reuse! If you cant find a fabric you like at your local fabric store, don't forget, you can always buy a single curtain panel and use the fabric from that! It might be slightly more expensive, but if you know of a curtain you covet but dont need new curtains... maybe this is your answer! 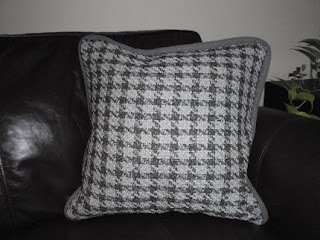 One of the next projects will be making my throw pillows as I've mentioned in this other post! So you will get a play by play how-to. Well the time has come! Buttercup is polished and she has powdered her nose and is ready for her Big Reveal!! Before I do, here is a little visual time line. Here she is all primed and sanded and ready for some paint! It took me a good 2 coats and next time I will be sure to spray just a little more. I have my tools ready to go! I've been calling this project Buttercup this whole time. Little did I know, the color is Beher's Melted Butter. Ooolala! A few thin coats and a gorgeous spring day later, the paint was smooth and even was "like buttah!" Now, onto removing the current seat cover and cushion to replace with a nice and modern cushy one! Turns out there were a few layers of fabric on this baby! But I pulled the upholstery nails out of all layers to strip it down to the wood. Here is our blank palette with all its ex-fixin's by the wayside... totally ready for the new duds! I bought a square of 2" foam from my local fabric store and a small amount of sheet batting. I laid the wood on top of the foam and traced it with a marker and used a bread knife (I know, but the serrated edge really cuts through the foam!) to cut out the form. After that I stretched the batting as tight as I could- without damaging it- and used a staple gun to secure it and then trimmed the excess batting close to the staples but not too close or it will not hold. And I repeated this with my GORGEOUS fabric! See? Here is the final product. Don't mind the linoleum flooring- that spring day got so cold, I had to finish it inside! Last thing to do was wait for the frame to be dry and just screw the seat onto the frame! And now... for Buttercup's final reveal! Doesn't she looks purrty? I am so proud at how this project came out. After a few trips to Home Depot and the fabric store and a few bucks later, I have a beautiful new piece for my room. Well I hope you guys enjoyed waiting for the final results. I know I have been so motivated to finish for you all! To check out the first portion of this project, visit my Build Me Up Buttercup posting! If you have any questions or want to know more about the materials I used, leave me a comment and I'll get back to you!! It has me second guessing just because it has everything that I've been looking for. Off street parking in a large driveway that is not tandem parking. Washer and dryer hook-ups in the unit. Matt suggested to me to just buy cheap used ones from Craigslist and never have to pay for coin-op laundry ever again. Since it is a 3 bedroom I could use 1 of the rooms for a sewing room. All the bedrooms are equally HUGE with good sized closets. It has a very large, very dated eat-in kitchen with a formal dining room so that I could actually have dinner parties! YAY! And then it all comes back to one question: But would I be as happy if I were living there with a roommate? And definitively that answer is a hearty "no." Back to the drawing board for this lodging longer. Matt and I went to see the apartment yesterday and there were again, its unique ups and downs. For a studio, it has great square footage, but its laid out in a strange way. It has a giant kitchen with plenty of room for a full size table and what would be the bedroom is HUGE but considering it would have to double as the living room. It wouldn't cut it. Less than a year ago Matt and I ventured out to Jordans Furniture and got a fantastic 96" (AKA HUUUUGE) couch on the cheap and I don't want to sacrifice that for the cost of this unit. It just isnt the right fit. I know I can get a place that's bigger for that price. I really need to have a full 1 bedroom with a living room and I would even give up having a larger kitchen if I could have separate living and bed rooms. If I were to take this place, I would put a large kitchen table in there with comfy cushioned dining chairs. Think about it: if the only place you can house guests is in the kitchen, you better make it comfy to sit around that table and drink wine and eat glorious food and chat the night away. The floors left little to be desired so I would put a beautiful indoor/outdoor rug. Perhaps something like the one in this post. 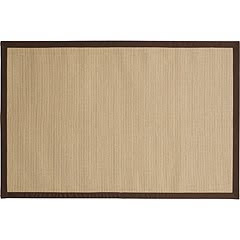 Or something like this Jute rug from Pier 1. It keeps it simple and allows for the other accents in the room to make the pop instead of drawing attention to the floor. I would love tossing these babies onto some white upholstered dining chairs to add a little pizazz to this kitchen. The realtor also mentioned he has a place that is literally a block away from Matt. The downside is that it is a 3 bedroom and I would have to get a roommate. (NB: This is exactly what I dont want) It is cheap enough that I could split it with only 1 person and have a 3rd room as a sewing space. The square footage he said was something around 1300 sq ft with hardwoods throughout. Hearing all this makes my heart skip a beat! I think we may try to take a look at it. And if I were to go for it, I would be the only name on the lease and have a sublet so that if push comes to shove, I could has them to move out. But I really want to live alone. *sigh* Whats a girl to do? I guess I just have a whole lot of thinking to do. I have been feverishly hunting through Craiglist apartment advertisements the past few days. I've found all sorts; in buildings and multi family houses, basements and attics, with a fee, without a fee. Nothing seems to be "perfect" just yet. I have decided to give this place the benefit of the doubt. Matt will be my second set of eyes at the viewing tomorrow evening. Its a 2 room studio in a vintage building. It has a gas stove and laundry in the building! *high five* However, the parking situation seems a little sketchy: onstreet parking during the summer and parking in a lot over the winter months.... I'm not sure how I feel about that. But if the place is big enough and I like it enough, maybe thats something I can work with? We'll have to see. Stay tuned! As I'm sure you could tell I was a little miffed the other day. But something kicked in today... maybe its the sight of the sun ablaze after what feels like weeks of torrents of rain and flood or maybe the warm days bringing birds back out and chirping away. This overcoming feeling of elation rose in me and a grin grew across my face. Its a feeling I get twice a year. The first true sign of Spring and the first snow fall. I admit that currently I am much happier that Spring has sprung rather than seeing any form of snow. 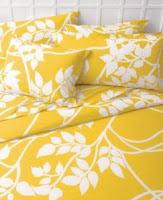 This brilliant bedding is from Crate and Barrel by Marimekko. As most of you know, this comes in many different colors but this one is so shamelessly Spring-y. Keeping with the yellow theme right now. I'm thinking of taking this cotton calico from JoAnns fabrics and stretching it over 3 different canvases that you can pick up at AC Moore or Michaels for a few bucks and hanging them right in a row in the kitchen or maybe even in bathroom! Happy St. Paddys day Folks and let me know if you have any other Spring-inspired DIY ideas! As promised, check out the pictures of my Mom's brilliant works of art on our walls and doors. Who says art has to be on a canvas??!! Yep, you got it... I had a pink and purple room. Every girl has to go through that phase, right? Here is the sunset and the blue sky! Look how beautiful they are together! And here is the night's sky. Aren't they all stunning? I hope you enjoyed them! Coming up later this week is Buttercups' update! Stay tuned! One thing I find so frustrating about apartment hunting -- as I'm sure most of you do-- is the timing. 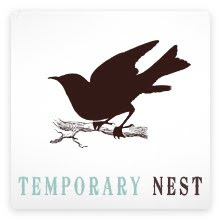 You get anxious and start looking for a place early but most apartments aren't available until a month or 2 before hand. For example: I have a "flexible" move in date. My lease is not up until the end of August but I have had it up to here *NB: see hand in stratosphere* with roommate living. I have, sadly, taken to staying in my bedroom only to avoid the all-consuming palpatations and near panick attack feelings I get knowing my roommates sheer existance and presence in my home. I know it shouldnt bother me so much. It's her kitchen too and she can cook in it as much as she wants. But in my fit of rage it turns more to... "How dare she use my vintage copper pots and pans!?" I know. I've lost it. Frankly- it's been nearly 2 years of pent up tension that has caused me to just teeter enough to plummet over the edge. 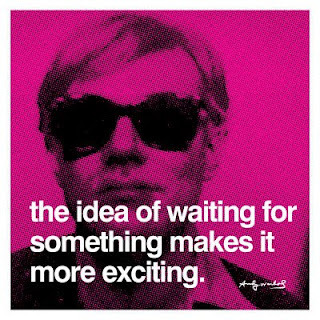 With that being said, I'm growing increasingly impatient with finding a place. But what do I do? I had 1 old roommate break our lease to move home and I fear that our landlord will not be honky dorey with the prospect of my wanting to do the same a mere 6 months later. However, if I were to find my own replacement... perhaps it would be more palletable? So I'm stuck between the proverbial rock and hard place. 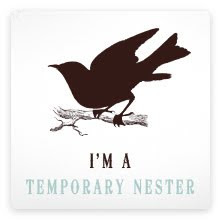 Do I wait out until August to find a new place? Or do I risk it and try to get out of the lease early? I have said from the beginning that if I were to find my dream place, without question I would break my lease. I guess I will just have to be as honest as possible with my landlord and hope that he sees where I'm coming from. Oh the plight of the renter. Since I seeing my first option, I have contacted what feels like a million rental agents. Roberta, who showed me the first one really put a bad taste in my mouth when I told her I wasn't interested in the apartment. I tried to give her excuses but she had a rebuttle for each and what I really wanted to say was "I just wasn't in love with it." How do you explain that to someone? Theres no particular reason (okay, maybe the tandem parkin did me in) but this was just not meant to be my home. She continued to agrue with me about it and got rather nasty and I explained that she called me at work and that I had to talk to her another time. Since then, I have dodged several of her calls. I hope that she has gotten the hint that I'm not interested in continuing to do business with her. For generations back my family has been one of artists. There were children's wear designers, modern artists and milliners. My immediate family consists of my mother who is a retired photo-realist illustrator with a masters from Oxford, my father who was a successful young photographer in Britain and finally my brother who is a ravenously successful graphic designer and comic book artist- who is currently speaking on a panel at the South by South West conference in Austin (check out his website www.joealterio.com). All have superb taste in home decor and furnishings and of course are all about all things DIY. You would be hard-pressed to find any art on the walls in anyone's home that were not made by one of our family members or one of my parents art school friends. My mom also has quite the green thumb and she's combined the 2 and has started making wreaths from the grapevine cuttings from the back deck. Isnt that gorgeous?! It's 100% natural and "green" and it would be such a fantastic additive to a front door. It would span all seasons with a little changing of the [decoration] guards around the holidays. You can get some small ornaments or faux berries (I add some frosted pink white and silver ones to my Christmas tree and it would be great to tie the 2 together.) and tuck them into the nooks and crannies and really get a subtle holiday feel. 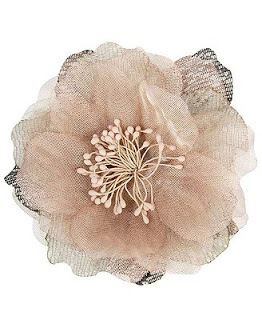 In the summer and spring months you could weave a softer fresher color ribbon through it and perhaps even add a costume jewelry brooch to it and make it really BLING! 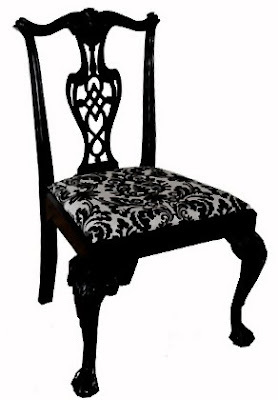 How cute would this be with a robins-egg blue ribbon woven throughout? Fabulous!! Or perhaps put a gorgeous faux flower- or cluster of multi-sized flowers! The key is to not get a flower that is TRYING to look real. Most faux flowers look fake, so why not play with that and make sure the onlooker knows its intentional. My mother's home is a turn-of-the-century 2 family home also in the Boston 'burbs and is chock-o-block full of DIY. When I was in a wee lassie I was in love with horses and horseback riding. So she painted a mural of a pony running through the rolling hills. It took years for her to complete between all her other projects and being a Mom. Once that was done she tackled the hallway. we have a hall that has 4 doors facing eachother. The bathroom, the closet, my (former) room and her room. One day she just started painting my door.... and she painted the most stunning sunset on it. Then she moved onto the bathroom door. This time it was a blue sky with white fluffy clouds and the silhouette of a bird. Finally she moved onto her own bedroom door. This one has a night sky on it with a deep blue gradation and a stunning moon. Her last closet door has yet to be completed but she plans on painting it with a storm. Each one has been better than the last so I cannot wait to see how the storm will turn out. Check out my pictionary! post for images. I'll be headin' over the river and through the woods to Moms house tomorrow and will hopefully be taking some photos of these doors for your viewing pleasure. In the meantime: applause to Mom for always keeping the house interesting! Oprahs-- I mean-- Gina's favorite things.